Summer. Just the word makes me smile. As a child, summer was that time of year that seemed almost magical in comparison to the other seasons. For me, those lazy, hazy, crazy days of summer were just that. They meant warm days spent on the lake, warm nights camping in the front yard, miniature golf, the ice cream man and a neighborhood filled with happy, active children who rose with the sun, spent their days swimming and playing any number of outdoor games and had to be coaxed back into the house well after sunset. In my teen years, summer days were spent boating, canoeing, and floating on a wooden raft with a good book in hand. Those days also brought the fabulous music of the 60's (played on a transistor radio), Saturday night dances at the American Legion Hall, the county fair, drive-in movies, the opportunity to travel to distant lands and my first summer love. They were very good days. Of course, it wasn't only the activities that we looked forward to when summer rolled around. There was also the food. My dad was the grill master in the family, my mom was the master of potato salad, strawberry shortcake and the best lemon meringue pie I've ever tasted. Dairy Queen was the place for our much-loved Dilly Bars and the A&W drive-in kept us supplied with ice cold root beer in frosty glass mugs. Trust me, you have not experienced root beer as it's meant to be experienced until you've had it served in a frosty glass mug. Nowadays, summer means beach time - I've just returned from a week there and it was heavenly - as well as lake time. I'm fortunate to be living in a place where I have access to both. And while there are no drive-in theaters, my community has outdoor movie nights which are just as much fun. Alas, there are no A&W drive-ins either so I buy their canned root beer and frost my own mugs. It's not quite the same but still pretty darn good. Root beer is also the key ingredient of my favorite summer treat: the root beer float. Have you had one? It's easy to make. 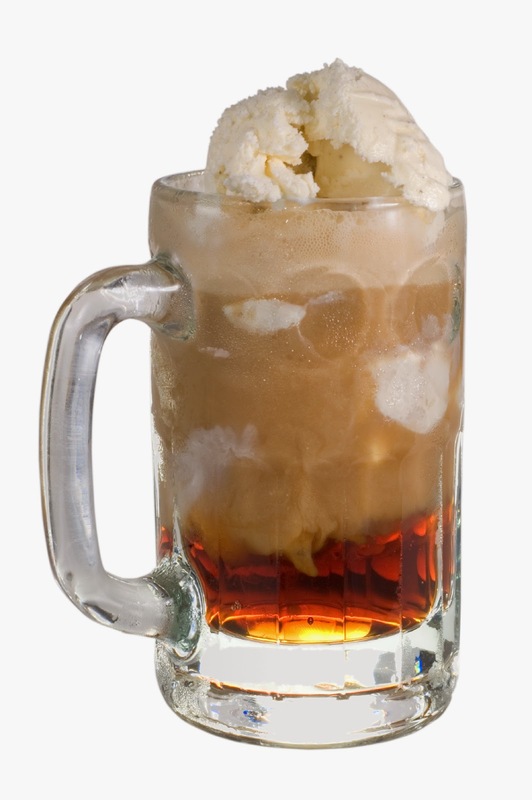 Put two scoops of vanilla ice cream in a frosty mug, add cold root beer and voila! There really is nothing like a root beer float to quench your thirst on a hot summer day. (A yummy variation is to use orange soda instead of root bear) Two other summer treats we like to make in our family are frozen chocolate-dipped bananas and chocolate chip ice cream sandwiches. Awesomely delicious and great fun to make with kids! Are you a fan of summer or are you more of a cold-weather person? What are your favorite childhood memories of summer? What's your favorite summer treat? Do you love root beer floats as I do? What singing group (or groups) provided the soundtrack for the summers of your youth? Do you vacation over the summer or is a staycation more your style? Is there a summer movie you're looking forward to? BONUS: What summer book release(s) are you most anticipating? I have a hardcover copy of STORMY PERSUASION by Johanna Lindsey (read my review) for one randomly chosen person who leaves a comment on today's blog. Are you a fan of summer or are you more of a cold-weather person? I am definitely a fan of summer. After this past winter I am looking forward to the warm weather. What are your favorite childhood memories of summer? I remember running between pools in the neighborhood and eating popsicles when we were done swimming. What's your favorite summer treat? Do you love root beer floats as I do? An ice cream cone is my favorite summer treat. What singing group (or groups) provided the soundtrack for the summers of your youth? I think of Buddy Holly, my mother's favorite when I was a kid. Do you vacation over the summer or is a staycation more your style? We usually staycation. Is there a summer movie you're looking forward to? I hardly watch movies since I prefer to read when I have some time. BONUS: What summer book release(s) are you most anticipating? I am looking forward to Deeper Than Night by Shiloh Walker. Well, living in Michigan for over twenty-five years now I am definitely NOT a fan of winter. I would take summer over winter any day.Actually I would love to live somewhere with temperatures in the mid-70s year-round. What are your favorite childhood memories of summer? Spending hours at the pool with friends. During my youth we always belonged to a country club with a pool. In the town where I grew up, there were numerous "clubs" and even city pools. Where I live now this isn't the case. I feel like my kids really missed out on this. I do, indeed. Although I prefer a frosty mug of root beer from the A & W Root Beer stand, which we still have. In the summer we visit at least once or twice every few weeks. When I was little there was one on the to and from the pool, so after the hot day in the sun my mom would stop there and get us a treat. Do you vacation over the summer or is a staycation more your style? We don't get away very much. 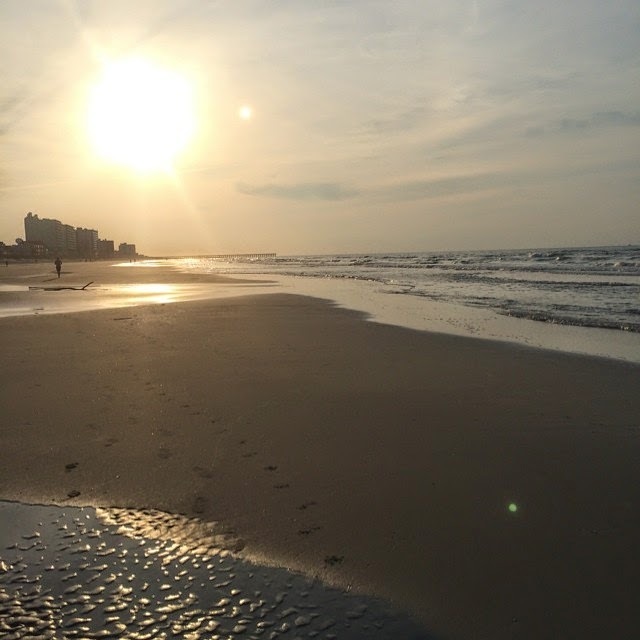 Busy summers with baseball.But my mom lived in Pawleys Island SC for years so that is where we try to escape to for a short trip every year. Sadly, she passed away in November so the condo is up for sale. My children are very sad--they "grew up" there in their minds. Is there a summer movie you're looking forward to? Belle, if it comes to my area! I think the summer previews look pretty disappointing this year. Top Secret Twenty-One: A Stephanie Plum Novel. Annie, having grown up about 45 minutes from where you live, I can fully appreciate the arrival of summer after a long, cold Michigan winter! Are you a fan of summer or are you more of a cold-weather person? I love summer!! I grew up in Virginia and hated the cold and damp winters. When I was just a little kid, I learned that there is a place where they don't have winter and I swore to live there one day. My family just laughed. But as soon as my husband and I retired, we moved to Florida and I've never been happier! What are your favorite childhood memories of summer? My favorite memory was taking a bunch of books up into the tree in my front yard and reading all day. Loved it! Our big treat was being able to go to an small amusement park near us. It was expensive and we didn't have a car but Mom would save up and we would take the bus. The excitement of getting to go on "the rides" was wonderful! What's your favorite summer treat? Do you love root beer floats as I do? I remember ice cold root beer floats too. However, we rarely drank sodas so I usually couldn't finish it. I do love watermelon though. Here in Florida, we get it nearly all year. It's so cool, hydrating and just sweet enough to satisfy the sweet tooth. What singing group (or groups) provided the soundtrack for the summers of your youth? The Beach Boys! Do you vacation over the summer or is a staycation more your style? We like to go up to North Carolina to be near our son and do some hiking in the wonderful forests there. However, we now have two kitties so I think it will just be a staycation this year! Is there a summer movie you're looking forward to? You know what? I am not a huge movie fan at all. I would rather read a book any day! BONUS: What summer book release(s) are you most anticipating? I'm looking forward to: "The Accidental Duchess;" "The Danger in Tempting an Earl - Sophie Barnes; "The Fall of Grace - Julia London" and the list goes on! Connie, I love the image of your tree-top reading space! I'm a watermelon lover too. Actually, I love most summer fruits and enjoy stocking up on them at the local farmer's market. I'm a summer person. Love everything to do with the outdoors including yard work. We hike, bike, swim, canoe, visit the zoo and parks and relax in our backyard. Love temps around 80*F. I grew up in Wisconsin, so luckily I'm able to live in Florida and summer in Wisconsin. Swimming, we belonged to a family swim club so I swam almost everyday. One especially cool summer the lifeguards paid us not to swim. We spent two weeks vacationing at Elkhart Lake. I remember going horseback riding, learning how to golf and going go-cart racing at the Road America track. We ate the most delicious fried chicken at a restaurant on Friday nights. Staying out till the streetlights came on playing games with my girlfriends. We walked or biked everywhere. No fears! Ice cream in a dish or a waffle cone. We took trips to Dairy Queen. I loved their Peanut Buster Bars and Dillies. I did drink an occasional root beer but I never had a root beer float. I also liked to go and pick strawberries. We live on a lake so staycation. Small outings to visit family. What summer book release(s) are you most anticipating? Laurie, judging from your playlist I'd guess we're in the same age range. Those are the groups of my teen and college years and bring back so many wonderful memories. I've circled June 20th on my calendar for the movie, Jersey Boys. So many great memories from my younger years are set to the music of Frankie Valli and the Four Seasons. I'm actually a spring/fall girl. I don't like it too hot and humid. However, if summer would stay in the 70 degree range I would be fine. On the other hand I love summer stuff, picnics, picnic food, fresh produce at the farmers market and outdoor festivals/concerts. Sigh! I love the Malory's! I think this girl is going to read the series over again this summer! I can't get enough of family novels - I just love them! I am a spring and summer person. I like getting outside and taking long walks. I enjoyed your review and would love to read this book. Trips to the library and lots of reading. Ice cream from the ice cream truck. I vacation when I can but not for a while. Just saw a dozen previews and all but one sounded really good lol. Grace Burrowes has some new ones out that I'm looking forward to. I'm more a fan of autumn, but I like summer better than winter. Going to the beach, we lived just a few blocks away. My favorite summer treat is summer fruits, especially plums and apricots. Yes! I love root beer floats? The Beach Boys provided the soundtrack for the summers of my youth. I usually wait until fall to vacation. No summer movie I'm particularly looking forward to. The summer book release I'm most anticipating is Grim Shadows by Jenn Bennett. Beach n Ocean, then escape to snow in northern Europe. ice cream.. ice cream.. and more ice cream. Vacation, and it's been looooooong over due. Not sure, haven't got time to check the movie list yet, but would love to, yes. I love the summer flowers open windows summer cloths where your not all bundled up.ice cream music BB King I'm on oxygen 24/7 and its very hard to get around no to movies stormy Persuasion . I love root beer floats!! I'm more of a spring/fall weather person but I do like a bit of the summer hot so that we can swim. I love walking with my dog and really getting out and about. I'm really looking forward to the next Kate Daniel book by Ilona Andrews coming out in July. If I can't go to a beach, than I'm more of a staycation kinda gal :) As for summer movies, I really want to see the new Tom Cruise movie. I love summer and the beach, and eating ice cream, especially daily flavors at local creameries. My grandmother still makes root beer floats for all the kids in the family today. For years she kept a summer cottage at Candlewood Lake where we had loads of fun with other renters, sometimes it was crazy when a lot of family showed up unexpectedly on weekends, people sleeping on the porch and outside in lawn chairs, lol. Drive-in movies were popular both for families and teen dating, and ours was right across from the beach. I want to see Jersey Boys, too; got to see the Four Seasons and many other bands at small local bars being close to NYC back then. Driving around in summer with the radio listening to all the surfer boys liike the Beach Boys, Jan and Dean, then the Beatles, Stevie Wonder, etc. But later I was really into classic rock and still am - Led Zeppelin, The Who, The Doors, Cream, Bob Dylan, Van Morrison, Pink Floyd, The Band, Joplin, Skynard, to name a few. Some books looking forward to read while at the beach - upcoming releases from Loretta Chase, Kate noble, Grace Burrowes, Mary Balogh. Johanna Lindsey "love only once" is what got my hooked to historical romances!! I LOVE the Mallory series, can't wait to read the newest one!! Are you a fan of summer or are you more of a cold-weather person? I love summer. I love the outdoors. What are your favorite childhood memories of summer? My grandparents would take me to Cape Cod every summer, and I loved always meeting new people. Do you vacation over the summer or is a staycation more your style? I like mini vacations. Take a weekend here or there just to distress. Know I missed the giveaway, but the post brought back so many good memories. A&W root beer floats are still a favorite. There are still a few A&W places around and most of the time we stop if we see one. I rarely leave without a float. Have had the orange float version many times, reminds me of a Creamsicle. We would play in the fields and woods all day then watch the fireflies and play Hide & Seek when it got dark. This summer I am digging through my TBR Mountain and trying to catch up at least a little. Unfortunately, all these wonderful authors keep writing faster than I can read. Johanna Lindsay's STORMY PERSUASION is on my summer list. I have been reading and enjoying her books for many years. Have a great summer and get in some good reading.